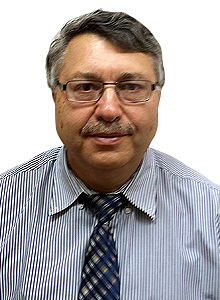 Dr. Anatoly Pisman specializes in Physical Medicine and Rehabilitation, treating patients in Bergen Beach, Mill Basin and surrounding communities in Brooklyn. He joined Mill Basin Medical knowing that the physicians in this clinic enjoy forming personalized relationships with their patients, which is a practice that is important to Dr. Pisman. Patients visiting Dr. Pisman are experiencing physical impairments, disabilities or injuries affecting the nervous system, the musculoskeletal system (muscles and bones) and other areas or tissues. He typically sees patients suffering from back pain, sports injury, stroke, fibromyalgia and other chronic conditions that cause pain and impact quality of life. Dr. Pisman works with his patients to help them achieve the best possible level of physical functioning and quality of life possible given their particular condition. My name is Dr. Anatoly Pisman. I am known as a PM&R physician (physical medicine and rehabilitation physician). We are sometimes called physiatrists. My job is to help you achieve the highest level of functioning possible, given your condition. I will also work with you to help you manage any pain you are experiencing that may be impacting your quality of life. It’s important to me to get to know the whole person, rather than focusing solely on the problem that brings you to my door. In getting to know you, the patient, I can better determine how your condition affects you, your loved ones and your ability to work, engage in leisure activities and otherwise live your life to the fullest. I take the time to get to know what matters to you. In doing so, I am able to create a treatment plan that is tailor made for you. I chose to work in this community because I enjoy the small town feel of this area. The people here work hard and care for their families and neighbors with the care and attention that is often absent in big cities. I enjoy getting to know the people who live and work in this area. When you come in to see me, I will give you the time and attention you deserve. I will listen to you and respect your wishes. Finally, I will be truthful and honest about your condition and prognosis, to help you achieve the best quality of life possible. No matter your problem, I can help. Simply make an appointment, come in and tell me about your current issue and how it is affecting you and your life. 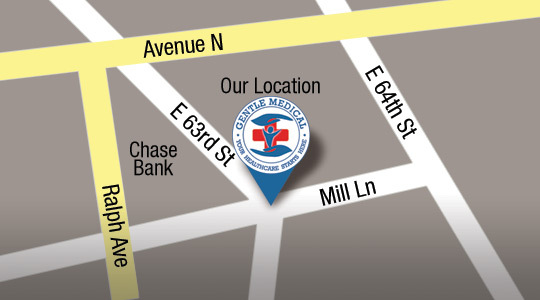 Together we’ll come up with a plan of care to help you achieve the highest level of functioning possible. If you have numbness and/or tingling sensations, weakness in your limbs or low back pain which radiates down to your limbs, I can perform neuro-diagnostic tests to define the source of your pain, make the correct diagnosis and therefore develop the correct treatment plan for you. For joint or muscle pain, carpal tunnel syndrome and other types of pain, I use injections targeted at the affected areas to effectively treat these conditions. If you are experiencing pain, we can work together to find a method of pain relief that will improve your level of pain if total relief is not possible. I am committed to helping you achieve well-being and comfort, in addition to improving your physical functioning.